The dumbest question is the question you had but did not ask. Click on a question to read the answer. Is your question not listed? Please let us know and contact us. What is the reason of this (medical) information page? This page is intended to quickly guide you to a number of (medical) terms that you can face when you get an orthosis. Some pages on our website will use these terms. Most people who hear that they need to have an orthosis are suddenly flooded with concepts and indications that they did not or hardly know. We realize that our trade is packed with ‘jargon’. This page can help you find a term as soon as possible and discover what it means. Usually there are also one or more links listed for further information. However, this page can not in any way replace your doctor. The information we provide here is purely informative. Always consult your treating physician with questions about your health and the treatment of your complaints. What is the difference between an orthosis and prosthesis? A prosthesis serves as (artificial) replacement of a body part. For example, an artificial bone replacing the leg after an amputation. An orthosis serves as a support for (the function of) a body part. For example, a UTX leg orthosis when the leg muscles are attenuated after a stroke. An orthosis is sometimes called a spalk or brace. Ambroise mainly develops orthoses and only one prosthesis. What is osteoarthritis or knee osteoarthritis? Osteoarthritis is a condition in which the cartilage of one or more joints is breaking down. More joint cartilage is disappearing than the body makes itself. 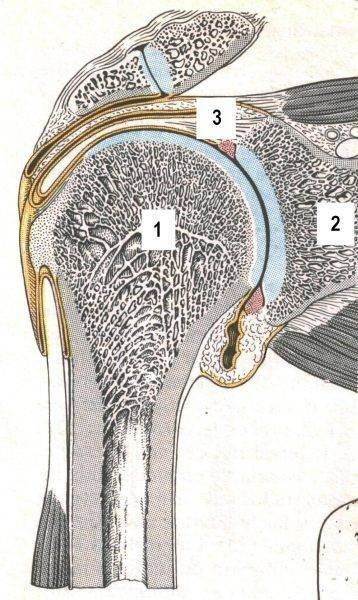 The joint load plays an important role (for example due to overweight), but the reduced quality of the cartilage and synovium (the fluid in a joint that has a lubricating but also dampening effect) is also an important factor. The knee is a place where osteoarthritis often occurs. Osteoarthritis is accompanied by pain and tightness. It is advisable to keep moving to prevent aggravation of stiffness. Ultimately, instability also occurs in the joints, so that a knee, for example, is getting worse in x-position (valgus) or o-position (varus). One side of the knee is more affected than the other, but due to the instability it is even heavier. The Genux is Ambroise’s knee orthosis that gives relief from knee complaints by stabilizing an unstable valgus or varus. This increases the functional possibilities of the knee and usually reduces the pain and gives a lot of mobility. What is a stroke or CVA? The term stroke includes a TIA (mini-stroke), cerebral infarction and intracranial hemorrhage. The medical term is Cerebrovascular accident (CVA). What they have in common is that the brain have not had oxygen for a while. This can be caused by blockage of a blood vessel or a rupture in a blood vessel. As a result, there may be (permanent) paralysis in the body because the part of the brain that controls the muscles are damaged. Paralysis due to problems in the brain are often associated with spasms. At Ambroise we have devices (orthoses) that can help you when dealing with paralysis caused by a stroke. For example, the Wilmer2 Carrying Orthosis when the humerus is out of the shoulder due to paralyzed shoulder muscles or, for example, a UTX ESF leg orthosis that gives stability to a paralyzed leg. What is a wrist drop or hand drop? A wrist drop is also known as radial nerve palsy. It is not possible to lift the hand and it hangs down flaccid. A wrist drop occurs as a result of nerve damage, fracture or clamping, or as a result of paralysis after stroke. Ambroise has been designed specifically for people with reduced strength in their wrists to develop the ADPO (Ambroise Dynamic Wrist Orthosis) to lift the hand. What is Duchenne muscular dystrophy or DMD? Duchenne’s disease, also known as DMD (Duchenne Muscular Dystrophy), is a progressive, congenital muscle disease that occurs exclusively by boys and is hereditary via the mother. The muscles are affected and in time can no longer be used. From the second year of life, the disease is noticeable. I an early stage, devices are needed to support the muscles in their movement. The disease is still incurable and many men die before their 40th year. Although in recent years very good results have been achieved in extending the life expectancy of Duchenne muscular dystrophy. Also check out: duchenne.nl to discover what the Dutch Duchenne Parents Project (parents with each other) has been able to realize in raising funds for research. Very impressive! Ambroise has the SpringSwing Ankle Foot Orthosis (AFO) in her package that is widely used for Duchenne boys. This very dynamic orthosis is well able to provide just enough support without interfering with the movements around the ankle that can be done (and should be done). If a muscle is not stretched for a long period of time, muscle shortening can occur, making stretching even more difficult. This is called a contracture. It also occurs for tendons and joint capsule. You are hereby restricted in freedom of movement. A contracture can be caused by, for example, a spasm. What is a brachial plexus injury (BPI) or brachial plexus lesion? A brachial plexus injury (BPI) or brachial plexus lesion is a lesion of the brachial plexus. That’s a nerve knot just behind the clavicle where the important nerves of the arm get together. Damaging that nerve knot can disrupt the control of almost all the muscles in the arm, including the shoulder. The effects can be very diverse but also very serious like a completely paralyzed arm and shoulder. If it affects the shoulder, due to paralysis, shoulder subluxation may also occur. Brachial plexus lesions often occur in accidents caused by a fall on the shoulder (including bicycle and moped accidents). The plexus can be clogged or even torn apart, for example due to a fracture of the collar bone. The Wilmer Elbow Orthosis has been developed for people with paralysis around the elbow. For example due to a brachial plexus lesion. With this orthosis, function is returned to the arm by supporting motion and locking the elbow smartly. Erbse Palsy is an obstetric brachial plexus. This lesion has occurred during birth. The brachial plexus is a nerve knot just behind the collar bone where the important nerves of the arm get together. In the case of an Erbs Palsy, the child’s shoulder has been crushed during childbirth, which has damaged the important nerves of the plexus brachialis in the shoulder region. In most cases completely spontaneous recovery occurs. However, the longer it takes before the child returns function in his arm, the more likely it is that the damage will (partly) be permanent. If neurological reconstruction is not possible or insufficient, there is permanent injury. You can also request more information via the Dutch patient association. Ambroise has developed for children with Erbse parese the Children Wilmer Elbow Orthosis. The Children Elbow Orthosis can help to increase the functional possibilities of the arm. In hypermobility, the joints in the body can often extend too far, causing them to lose their supportive function. This results in a faster chance of dislocation of joints. The joints hypermobility syndrome (JHS) is a hereditary disease. Little hypermobility does not have to give too many complaints. Often, muscles take part of the stabilizing function of the ligaments. However, those muscles can not compensate always and certainly not in all directions. Overload of both the muscles (muscle pain) and joints will occur soon. The joints become more sensitive to sprains and dislocations and especially overstretching. Over time, overstretching of the knee is getting worse. As the angle of overstretching increases, the joint and tendon strain increases. Often this is accompanied by a lot of pain. Also, walking with a overstretching takes much more energy. It asks for compensatory movements around ankle, hip, pelvis and back, which can cause further problems. Ambroise has both arms and legs orthoses in her package that can help with hypermobility. The Wilmer Elbow Orthosis can (without the lock) be used properly to prevent the elbow from extending too far. In most cases, individual determines how far the orthosis may stretch with arm and build a fixed stop in the hinge. This results in a comfortable lightweight orthosis with extensional stopper. The Genux is often used for a starting overstretching of the knee. The Genux has a long rigid frame and is therefore able to deal with the forces that occur at an tarting overstretching. In addition, the orthosis is also delivered in the frontal plane (valgus or varus) stability. The slim structure, the low weight and the anti-slip system make this orthosis very suitable for people who want to stay mobile for as long as possible. Ambroise UTX leg orthosis can keep the leg in a neutral position with severe overstretching problems. Due to its long build-up, the UTX is well equipped to handle the very great forces of heavy hip extensions. With this we can try to prevent worsening of the overstretching as much as possible and ensure safe, dynamic and as smooth as possible walking possible. EDS stands for Ehlers-Danlos Syndrome. It is a (hereditary) disease where connective tissue can be too supple and stretchable. This can lead to (serious) problems in almost all places in the body. It is often a disease that involves very different (sometimes vague) complaints. Ultimately, connective tissue is almost everywhere in the body, that’s for a reason. EDS can lead to hypermobility complaints. Instability of joints, sensitivity for sprains and especially for overstretching. (See also “What is hypermobility?”) on this page. Ambroise has both arms and legs orthoses in her package that sometimes can be used in hypermobility complaints as a result of EDS. IBM stands for Inclusion Body Myositis, also called sIBM (sporadic Inclusion Body Myositis). It is a muscle disease that is characterized by an inflammation of the muscles. The muscles are getting weakened. Muscles in the upper leg (especially the qaudriceps) are often hit first, but sometimes also the foot lift muscles and finger bending muscles. It is a very slow degenerative disease. The disease usually only occurs over 40 years and manifests itself more often in men than in women. The occuring muscle weakness is sometimes worse on one side of the body than on the other side. Although it is a relatively rare disease, it is the most common muscle disease for people over 50. There is still much unknown about the disease. For example, IBM’s causes are not yet fully known, but the defense system plays a role. When the quadriceps lose its strength, stabilizing the leg (knee) during walking becomes increasingly difficult. The UTX SWING orthesis has been developed precisely for those situations. Ambroise therefore uses her lightweight dynamic leg orthosis regularly for patients with IBM. What is a foot drop? If you have just enough power to lift the foot in the swing phase, it is just possible to start the start of the staging phase with the heel on the floor. However, if you transfer your full weight to that new stand bone, then hit the foot with a slap on the floor. That’s also called a “foot drop”. In general, the strength to raise the foot is not really enough. Then the foot will hang down during the swing phase. That’s called a ‘foot drop’. Failure to check the foot in the swing phase and when dropping is an increased chance of falling and stabbing. Being unable to control the muscles around the ankle can have many causes, of nervous nerves due to a (back) hernia, muscle diseases such as muscle dystrophy, but also diseases such as MS or ALS. Furthermore, it can also be a consequence of brain damage, such as after a stroke. Ambroise’s AFO (Ankle Foot Orthosis) helps to bring a foot drop in a neutral position so that the forefoot is not dragging over the floor, which could cause you to stumble. With the right AFO you have good (dynamic) control over the ankle, with enough foot lift and a good gait cycle. Club feet is a congenital foot disorder. One or both feet is tilted downwards and inwards (in varus) with the forefoot pointing inwards. This condition has arisen because the growth of the tendons and ligaments around the ankle and foot during the development of the baby has remained behind the growth of bone structures. Characteristic of clubfoot is that a new born baby has achilles tendon that is too short. It occurs in the Netherlands average between 1 and 2 times per 1000 births. More often at boys than girls. Also clubfeet on both legs occur more often on boys. There are almost always hereditary factors. The treatment of a club foot begins immediately after birth. In the Netherlands, a directive has been developed by the NOV (Dutch Orthopedic Association) for that treatment. The core of treatment is the method according to Ponseti. Dr. Ponseti has treated many thousands of clubfeet in his clinic in Ohio from the 60’s until his death (2009). The method according to Ponseti uses an orthosis aimed at putting the feet in a corrected spreading position. The DYNCO of Ambroise has been developed to connect with this method. During the time of Dr. Ponseti, static Denis Browne was used. The DYNCO is an innovative orthosis that can achieve the desired correction dynamically. A clever spring construction rests the feet to the desired position, but makes it possible to move. Your child retains freedom of movement and can thus continue to develop motorically, while sufficiently corrected. What is Multiple Sclerosis? Whas is MS? Multiple sclerosis (MS) is a chronic central nervous system disorder. In this disease, the myelin sheath of nerves is affected. This is a substance that is layerd around nerves and conducts impulses of those nerves. Damaging this layer causes these pulses to come much slower, no longer, or disturbed. As a result all kinds of neurological problems occur such as power reduction. The causes of MS are not yet known and MS can not yet be cured. At some point, muscle failure or weakening may occur, making walking more and more difficult. There is a greater risk of falling and walking costs a lot of energy. When walking becomes more difficult, a UTX leg orthosis can support you during your gait. Because the UTX is a very lightweight and especially dynamic device, it is highly suitable for use by MS patients. We try to let you walk as natural as possible with minimal resources and as little extra weight as possible. That costs the least energy. Femoral Nerve Neuropathy or femoral nerve dysfunction is the medical term for a major nerve disease of the upper leg, the Femoral nerve. This nerve is very important for the control of the quadriceps (quadriceps femoris muscle), the front muscle of the upper leg, which is responsible for stretching the knee and bending the hip. Neuropathy of the Nervus Femoralis can therefore have serious consequences for being able to check the stability of the knee during walking and walking. Causes can be, for example, nervous nerve (eg due to a spinal hernia), diabetes or an inflammation. Because the nerve is damaged internally, treatment is difficult. Often (but certainly not always) the outbreaks are permanent. It is important to keep the muscle strong through exercises. The Ambroise UTX leg orthosis can support you during walking when the upper leg muscle is weakened. The UTX ensures that you can walk safe and natural and keep your leg’s muscles working when possible. What is a bow leg? What is a genu varum? A bow-leg is in a bowed position. The knee bows outwards in relation to the foot and the hip. Within a certain bandwidth, a light bow position is normal (depending on gender and race). However, the bow position may also become too large and can become unstable (which means that the knee will go even further). This condition is called genu varum. In addition to bone deformity, such as for example in rickets or tumors, a varum often occurs in osteoarthritis of the knee. The knee cartilage then degenerates especially on the inside of the knee so that it slowly drops into bow position. Without treatment, the ligaments of the knee continue to extend and the load on the most affected side of the knee (inside) continues to increase, which causes the complaints to worsen. It is important to bring the unstable knee in a neutral position (back) at an early stage. The Ambroise Genux knee orthosis helps to neutralize the knee position with the help of a clever cable structure on the outside of the leg. This lightweight orthosis can stabilize an unstable varum. What is spasticity? What is a spasm? Spasticity is a reflexive (excessive) contraction of a muscle due to stretching of that muscle. The brains normally control (constrain) these reflexes. This constrain can not be sufficient due to a brain injury (for example a CVA), or a spinal cord injury (for example a paraplegia) or nerve damage (for example, as a result of MS). This way spasticity can lead to spasm: an increased (rest) tension (and unwanted contraction) of the muscle. This causes normal movement of the joint where the muscle works no longer possible . If the muscles affected by a spasm remain too long in the shortened position, the muscle will shorten and a contracture will occur. 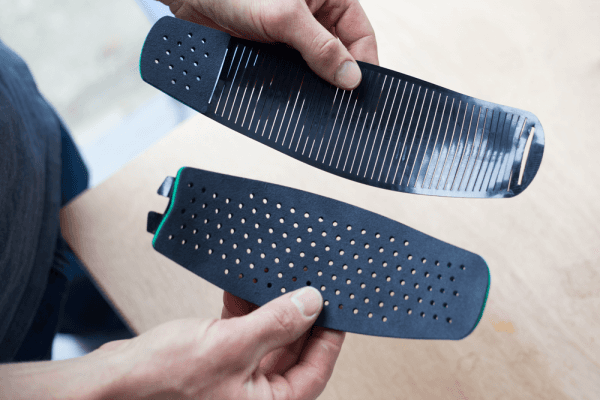 Ambroise has developed a number of orthoses that can be used to limit the effects of spasms. What is a shoulder (sub)luxation or dislocated shoulder? Section of the glenohumeral (shoulder) joint. Clearly visible is the low contact surface of the upper arm (humerus (1)) with the shoulder blade (scapula (2)). The stability of the joint is only achieved in the shape of joint areas for a very small part. Capsule and liagments (3), but especially an active contribution of the muscles (especially supraspinatus_muscle) are necessary to ensure the integrity of the joint. (From : Kahle W, et al4, Sesam Atlas van de Anatomie, Fifth edition 1986; ISBN 90 246 6916 2, edited). A shoulder (sub)luxation is a (partial) luxation (dislocation) of the shoulder joint. The arm hangs from its capsule and ligaments and in time dislocates further and further. Causes of shoulder (sub)luxation is usually the paralysis of the muscles around the shoulder (especially Supraspinatus muscle is important) by brain damage such as a (stroke (CVA)) or Brachial Plexus lesion. Shoulder subluxations also occur on people with hypermobility complaints (eg due to joint hypermobility syndrome (JHS) or Ehlers-Danlos syndrome). In general a shoulder (sub)luxation is a permanent condition. If a (sub)luxation remains untreated, the shoulder will gradually increase its drop out of position. This is usually a highly painful situation. On top of that the arm can hardly be used functionally. An orthosis is necessary to prevent further increase of the (sub)luxation, to reduce pain and to regain some of the arm functions. To neutralize shoulder subluxions and give the arm back functional possibilities, the Wilmer2 Carrying Orthosis is developed. The Wilmer2 Carrying Othosis is a unique product that is able to push the upper arm upward using the mass of the forearm to neutralize the shoulder subluxation. What is a Genu Valgum, Valgus or knock-knee? At a valgus, also called knock-knee, the knee drops relative to the ankle and hip inwards,seen from the front (x-position). Within a certain bandwidth, a light x-position is normal (depending on gender and race). However, the x-position may also become too large and can become unstable (which means that the knee will go even further). This condition is called genu valgum. Thus, a valgus is an anatomically incorrect x-position and/or instability. In addition to bone deformity, such as for example tumors, a valgum often occurs in osteoarthritis of the knee. The knee cartilage then degenerates especially on the outside of the knee so that it slowly drops into x-position. Without treatment, the ligaments of the knee continue to extend and the load on the most affected side of the knee (the outside) continues to increase, which causes the complaints to worsen. It is important to bring the unstable knee in a neutral position (back) at an early stage. The Ambroise Genux knee orthosis helps to neutralize the knee position with the help of a clever cable structure on the inside of the leg. This lightweight orthosis can stabilize an unstable valgus. What is nerve damage or nerve injury? There may be diminished function of body parts but also tingling, a numbness or pain. There is often a loss of muscle strength in contact with the affected nerves. IMS stands for ‘innovation meets style’. This is the line of Ambroise products that are recognized by the two-part pelottes. A black plastic cover and a foam layer with green border. What is the delivery time of my orthosis? The standard delivery time of Ambroise products is 10 working days in the Netherlands. Swift Ankle Foot Orthoses are ready in 5 working days. "I was very well helped and I am very happy with my utx." "There has always been a nice contact and the communication is good."